Scholarships were named for our Artist-in-Residency Nikki Grimes and Visual Artist Shadra Strickland to honor their contributions to the field of children’s literature. Recipients of the named scholarships will attend a workshop of their choosing from our 2019 program offerings. 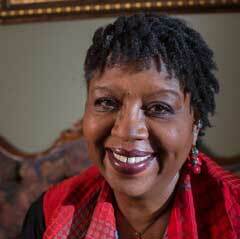 Nikki Grimes is a prolific writer, poet, and artist. She’s been recognized widely for her artistry, including receiving The Children’s Literature Legacy Award in 2017 for her substantial and lasting contribution to literature for children from the American Library Association; recognition from Kent State with The Virginia Hamilton Literary Award; an NCTE win for Excellence in Poetry; multi-year Coretta Scott King honors (and a win for her striking novel, Bronx Masquerade); and additional starred reviews, awards, and acknowledgments that number into the hundreds. Nikki Grimes selected Sangoyemi Ogunsanya as the recipient of her named scholarship. Sangoyemi will attend The Whole Novel Workshop: May 2019. Originally from Brooklyn, New York, Sangoyemi grew up in Boston, New Hampshire, Philadelphia, and Cambridge, Mass. She has a BA degree in dance and an MFA in fine art. Sangoyemi pursued a career as a practicing artist, professor of sculpture, and curator of contemporary art. 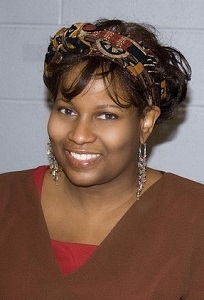 She published Fearless Freedom, a middle grade novel about the civil rights era, in 2013. Sangoyemi writes under the pen name Corinne L. Gaile. She shares her home in Tampa, Florida with a tie-dyed kitty named Sequoia. Shadra Strickland was the winner of the Ezra Jack Keats Award and the Coretta Scott King/John Steptoe New Talent Award in 2009 for her illustrations in Bird. A year later, she won the NAACP Image Award as a contributor to Our Children Can Soar. Her illustrations for Loving vs. Virginia appeared in the 2016 Society of Illustrators juried exhibition of original artwork. 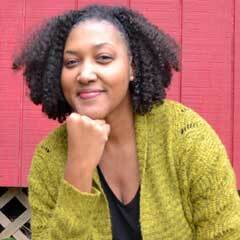 Ms. Strickland’s books have received recognition from literary journals and organizations. She teaches illustration at the Maryland Institute College of Art In 2018, Ms. Strickland’s images from A Child’s Book of Prayers and Blessings: From Faiths and Cultures Around the World were on exhibit at the Highlights Foundation. Shadra Strickland selected Nancy Devard as the recipient of her named scholarship. Nancy plans to attend Writing for Illustrators 2019: An Author/Illustrator Intensive. Nancy is a former development engineer turned fine artist/illustrator. She attended the Pennsylvania Academy of Fine Arts. Upon graduation, she moved to Kansas City to work as a staff artist/illustrator for Hallmark Cards. After nearly seven years with the company, she moved to a freelancing career. The first books that Nancy illustrated were for the “Just For You” imprint of Scholastic Books. 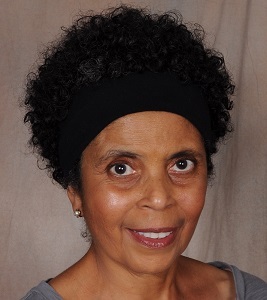 In 2007, she illustrated her first hardbound book, The Secret Olivia Told Me, which was awarded a Coretta Scott King Illustration Honor Award by the American Library Association CSK Committee in 2008. After having illustrated other people’s thoughts and stories for children, Nancy is passionate about sharing her own stories. We would like to thank all writers and illustrators who applied for these highly competitive scholarships. While each artist selected one recipient for the named scholarship, we hope to provide grants and scholarships to other authors and illustrators recommended by Nikki Grimes and Shadra Strickland. If you applied for one of the 2019 named scholarships, you will be notified within 90 days of any additional grant monies available. Please join us in congratulating Sangoyemi Ogunsanya and Nancy Devard on being named this year’s recipients. Special thanks to Shadra Strickland and Nikki Grimes for reviewing applications. To learn more about our general scholarship program, please click here.